No doubt you have been watching the foliage turn colours lately, as the greens give way to golds and purples on the ashes and fiery reds on the maples. At the Morgan Arboretum, you can celebrate this glorious phenomenon in many ways throughout the month of October. Have a look at the program of activities and make sure to pencil in a visit this fall. No doubt you have been watching the foliage turn colours lately, as the greens give way to golds and purples on the ashes and fiery reds on the maples. Every year the landscape is transformed but each year the show is unique. This is because the display of fall foliage, known to change hourly, is modulated by the prevailing temperatures, sunlight and soil moisture. 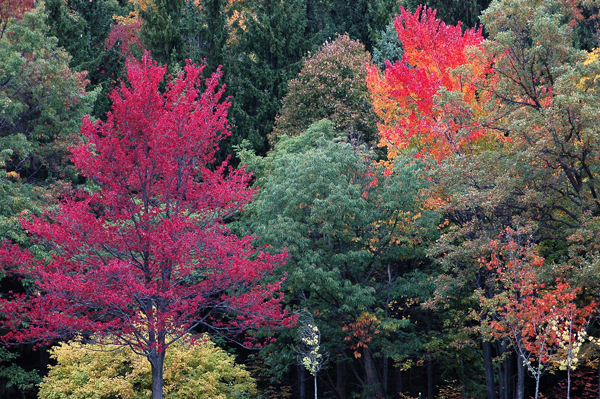 At the Morgan Arboretum, you can celebrate this glorious phenomenon in many ways throughout the month of October. Have a look at the program of activities and make sure to pencil in a visit this fall.